Beautiful coastline, wonderful views of the snow-capped peaks of the Taurus mountains, great cultural treasures from ancient times and hospitable people – this is Lycian Way. We experience this spectacular countryside and its fascinating cultural sites actively on lovely unhurried walks. Our local guide, who speak good English, will tell us about the history, where the various people who live there came from and their culture. We want your trip to be a good balance between physical activity and regeneration. Especially in the autumn the sea is inviting for swimming. This trip is suitable for all who appreciate nature, combining the enjoyment of being active and out in the countryside with cultural experiences. Arrival to Antalya, meeting with your tour guide. Transfer from Antalya to Olympos. Accomodation in guest house in Cirali/Olympos. After breakfest we´ll take a gentle walk from Tekirova through pine forests with splendid views of the Mediterranien and its picturesque bays. Via the peninsular Karaburun and Chrom beach we reach Çirali/Olympos. Accomodation in Olympos. Ascent from the Nekropolis of the antique Olympos to Musa Dagi, the mount Moses ca. 600 m high. Along goat paths to Yayla (summer pastures) on Musa Dagi. Walk through pine forests and cork oak wood. Accomodation in Olympos. Transfer from Çirali to Üçagiz. Boot trip to island of Kekova and to Simena, the underwater ruins of the city in the harbour. The village Kale has been built into the ancient Simena. Ascent via the Necropolis (burial ground) to the medieval castle. Fantastic views over the islands. Walk through olive groves back to Üçagiz; in the ruins of the Lycian Teimiussa stone sarcophages from the Acropolis (citadel) down to the sea can be found. Accomodation in guest house in Üçagiz. A wonderful walking day. About 5 hour walk through beautiful country. Guided tour of the ancient town of Islada with many interresting stone sarcophages. Accomodation in Üçagiz. Hiking along stony paths beside the lagoon of Üçagiz and along a peninsular to the ruins of the Lician Aperlai: town walls, towers, Byzantine churches, fortifications up to the upper Acropolis; parts of the old harbour are underwasser. Swim in the sea straits of the “Hot Peninsula”. 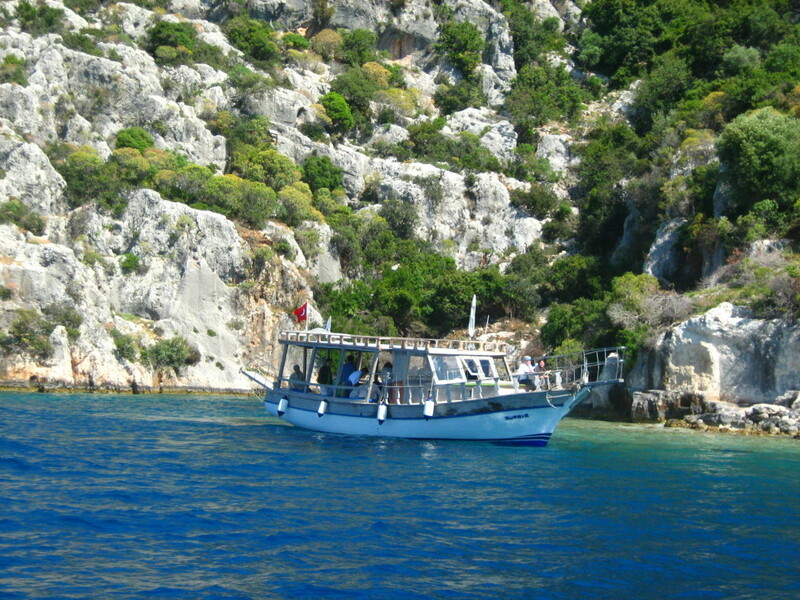 A lovely boot trip from the ancient town back to Üçagiz. Visit to the weekly farmers’ market. Visit to Nicholas church and the ancient Myra: Roman theatre with impressive friezes, especially impressive is the Lycian sea and river necropolis in the steep rock walls below the acropolis built from 400 B.C. The graves richly decorated with reliefs in the sea necropolis indicate the wealth of the inhabitants in pre-Roman times. In the afternoon we go for a lovely walk for about 2-3 hours to Tyberissos. 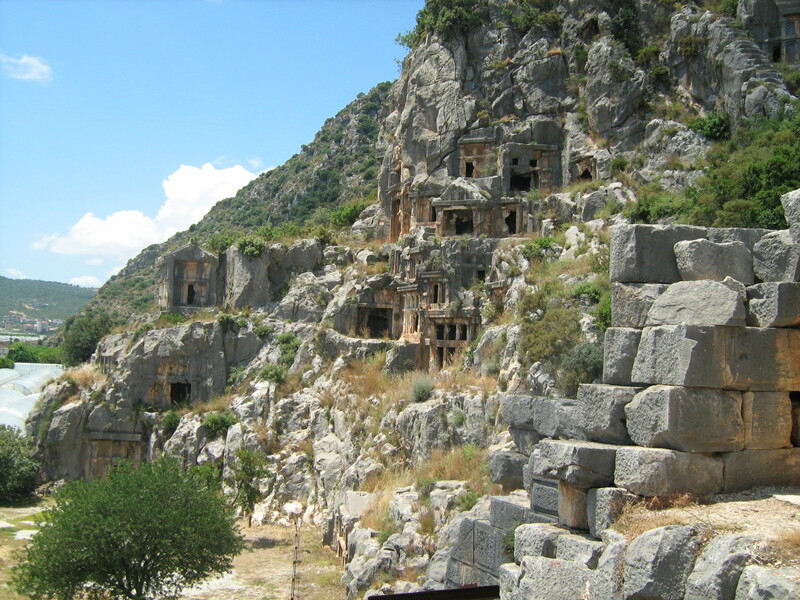 The Lycian – Byzantian hill settlement of Tyberissos once belonged to Teimiussa. Small hilltop fort at at height of 350 m. Back to Üçagiz. Transfer to Antalya. Guided tour through the old part of the town of Antalya with Hadrian Gate, Kesik Minare, Seldschukisch Yivli Minare, the harbour and further sights of the town. Tea break above the rocky horseshoe of the picturesque old harbour. Opportunity to buy leather, jewellery, textiles, etc. Accomodation in hotel in Antalya. Transfer to airport in Antalya (driving time 20 min). Flight home. For the trips we need the same equipment as for hiking in the mountains. The weather is often beautiful and dry when we visit the area, but one should always be prepared for clouds and rain. We stay overnight in family – run guest houses. Basically we book full board. In the towns we eat restaurants or guest houses. On our trips we take food in our rucksacks. For individual likes/dislikes in between times the members of the group should make their own arrangements e.g. snacks. Things can be bought locally. Licensed tour guide to English or German speaking. The best local airport is Antalya. Intercontinental flights use Istanbul (careful – there are two airports, Ataturk and Sabiha Gökçen) and then domestic flight to Antalya. 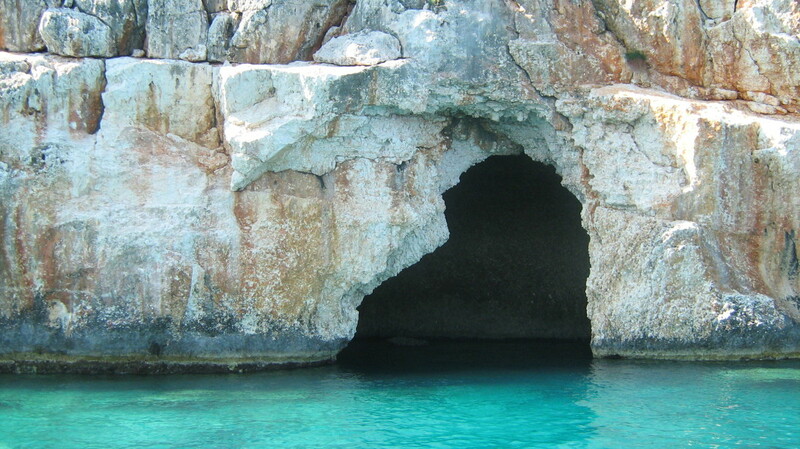 Flights to Antalya from outside Turkey are not daily – please check airlines for days and times.